When warmer temperatures arrive in the Tulsa, OK area, kids rejoice as they anticipate the fun and relaxation of their summer vacation. 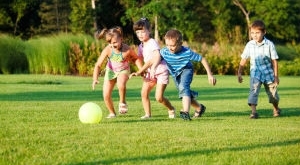 For lots of kids, summertime means outdoor fun with neighborhood friends, enjoyable time spent with the family, and a break from the hard work of school. With so many other activities competing for their attention, like video games, TV, and the Internet, a lack of interest in reading for kids is a significant problem today. If children don’t develop a natural passion for reading, it can lead to some difficulties later on in their studies. There are many benefits to enrolling your kids in a reading program during the summer months. Firstly, it will minimize the risk of learning loss while they’re not at school. Additionally, by improving their reading proficiency, you’ll be helping them to develop great reading habits. Furthermore, the better your kids are at reading, the more likely they are to enjoy it. Comprehension is a critical component of the learning process. Studies have shown that children who participate in summer reading programs improve their reading comprehension and subsequently do better in school than those who weren’t enrolled in such a program. Retention is the other side of the learning coin. It’s quite common for kids with poor reading skills to quickly forget what they have read. A summer reading program will help your kids better comprehend and retain what they read. While summer reading programs are an excellent complement to school, it’s important to note that they are designed to be a fun and enjoyable summertime activity. Children get to read wonderful and interesting children’s literature. They have the opportunity to read books that interest them filled with the kind of content they’ll love. If improving your children’s reading skills and equipping them with the tools that they’ll need to be successful in life is important to you, you should enroll them in a summer reading program for kids. Join the countless Tulsa, OK area parents who have taken advantage of Read Smart’s free reading evaluation for their kids. Smart Fun for Kids: Educational Activities that Don’t Seem like Learning!